It's a narrow boat, not a long boat!! The idea of our canal boat Utopia was to spend winter in the Caribbean and summer on the canals, cruising as I did little pieces of work and wrote. Summer on the canal, or “cut” as we canalists call it, was the plan. Of course, but it didn’t quite work out like that. We spent plenty of winter months on the canal boat. We had our share of being frozen in and wondering if the thaw would come before we needed to empty our holding tank. Winter has a special beauty when viewed from a canal boat. An English summer is a wonderful season. It has the right warmth and tranquillity, vibrancy and colours. It is perfect for being outdoors. Cruising a canal is the ideal way to experience this season. We loved it. The people who live and travel on the canals are a broader cross section than we have met anywhere else. There are so many more reasons to be on the canals than to be on sailing boats or in city suburbs or little villages. Wealth and personal finances do much less to separate one person from another when you live on the canals. And this disparate group are united by the simple act of being part of the canal community and just messing about on boats. They are here and it’s the best life they have known, no matter where they started out, and they appreciate that others share this point of view. 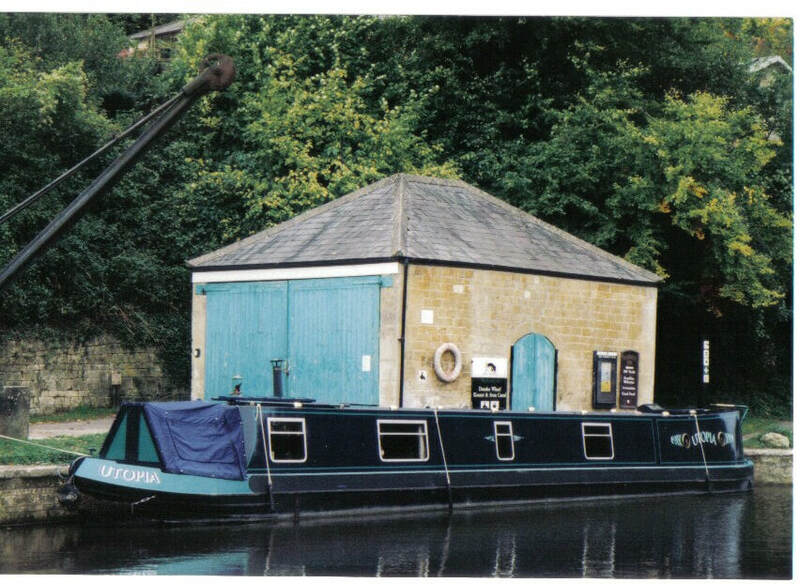 Sixty feet is plenty long enough for a canal boat but living in a space less than seven feet wide is more restricting. Having to carry water and periodically fill up the tanks; having a holding tank and periodically having to empty it; living mainly off a very limited supply of 12volts DC and an even more limited supply of 240volts AC, all of which we had to generate ourselves from the engine or the little petrol generator; only having hot water when we ran the engine; living by paraffin lamps; warming ourselves by a coal burning stove. Some might say it’s Spartan. Others might say it's cosy. Some might find it too claustrophobic for comfort compared to living in a house. Some would be afraid of simply being on the water, even on the scrape in the ground that are the British canals. But we were used to the sailing life. We loved it. All things come to an end. We fell out of canal boating because other things came into our lives rather than because we ceased to enjoy it. We will never forget the pleasures we had with our wonderful Utopia.